Comptons Florist offers a wide selection of bridal bouquets, wedding ceremony flowers and centerpieces. Show your love and appreciation for that special someone. 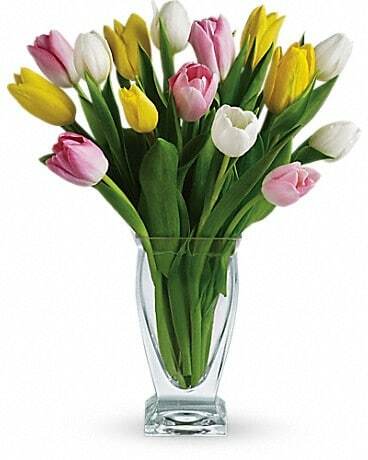 Birthday flowers are a great way to share a smile with loved ones. Welcome to Compton’s Florist, serving the LaPorte Texas, Baytown Texas, and Houston Texas metro area for over 50 years. Compton's has been LaPorte Texas finest florist since 1956. Owner Debbie Gordy has been in the flower business for over 30 years and has owned Compton's since 1994. Debbie is a Texas “Master Florist” florist. As longtime residents of the LaPorte TX area, we support our community and industry, with owner Debbie Gordy having served as the Past President of both the Allied Florists of Houston Texas and of the Texas State Florists Association. She has also served as the director of LaPorte's Education Foundation and been a longtime member of the LaPorte / Bayshore Chamber of Commerce. 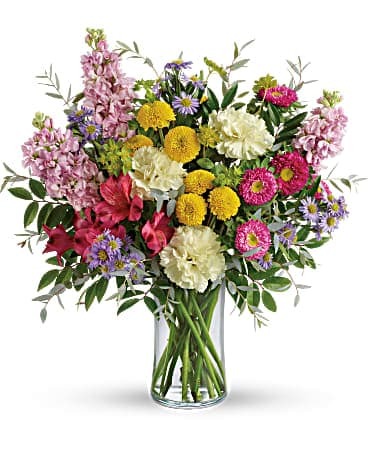 Compton’s Florist delivers to the entire south east area of Houston including Clear Lake Texas , League City Texas , NASA , Seabrook Texas , Deer Park Texas , Pasadena Texas , and Baytown Texas . We offer floral delivery and plant delivery to the following facilities: Alenbrook Healthcare Center , Bay Area Surgicare Center , Bayshore Medical Center , Bayshore Towers Apartments , Baytown Back Pain & Health Center , Baytown Nursing Home , Center For Psychiatry Info , Center For Rehabilitation , Clear Lake Regional , Clear Lake Regional Med Center , Clear Lake Rehabilitation Hospital , Colonial Funeral Home , Cristo Rey Funeral Home , Deer Park Funeral Directors , Deke Slayton Cancer Center , Doctors Outpatient Surgeon Center , Earthman Funeral , Fairmont House , Faith Memorial Nursing Home , Forest Park East Funeral Home , Frazier Funeral Home , Grand View Funeral Home , Green Acres Convalescent Center , Guillen Baytown Funeral Home , Happy Harbor Methodist Home , Harris County Hospital District , Healthcare Center , Texas Inc , Hearthstone At Vista , Hospice Center , James Crowder Funeral Home , Kindred Hospital Bay Area , La Crespo Funeral Directors , Lakeview Health Care Center , LaPorte Healthcare Center Inc , Manor Care Health Services , Mary’s Room & Board , Navarre Funeral Home Inc , Pasadena Funeral Chapel , Pasadena Interfaith Manor , Paul U Lee La Porte Funeral , Pine Tree Cottage , Pine Tree Lodge Assisted Living , Pointe Rehabilitation , Rehabilitation & Healthcare , Robey Funeral Home , Rosewood Funeral Home , San Jacinto Methodist Hospital , Southfield Health Care Center , Southmore Park Apartments , Specialty Hospital Of Houston , St James House Of Baytown , Swan Manor Terrace At Clear Lake , Vista Continuing Care Center , Vista Medical Center , Vista Medical Center Hospice Inc , Waterford At Deer Park , & Women's International. Compton’s Florist delivers the finest in floral arrangements, gourmet baskets, gift baskets and gifts for all occasions. In addition to our beautiful fresh flowers and plants we offer custom silk arrangements and consultations for decorating with flowers. We proudly carry Lampe Berger, Webkinz, and a vast selection of decorative accessories and jewelry. We also offer custom gift and food baskets filled at the customer’s request. We are always changing our inventory to offer the newest and most popular gift items. Whether it is a new baby, birthday or any event where flowers are the perfect expression, Compton’s Florist is ready to create that special arrangement. For love and romance, Compton’s Florist, can’t be beat. We’ll custom design your floral gift to send the perfect message of love or to convey just the right feelings. No matter whether it’s a new romance or a mature relationship that still feels new; we have you covered. Just let us know what you would like, and we’ll handle the rest. Our flowers are imported daily from points around the world, and only the freshest stems are used. As a valued Compton’s Florist customer, you can expect your shopping experience to be pleasant, yet prompt, professional, yet personal and your arrangement or gift to be perfectly tailored to your needs. We believe that every customer and every order deserves and demands our utmost attention to detail and quality, and always at a competitive price. At Compton’s Florist, we guarantee that you will be pleased with your shopping experience, no matter whether in person, by phone, or online. Your satisfaction is our promise. Whether you need it next door or across the country, we would love to be your florist! When it comes to customer service, no one beats Compton’s Florist. We make your shopping easy and are available to receive your order 24 hours a day, 7 days a week. We use only top quality flowers chosen from only the very best growers from around the world. Tired of those cheap flowers that are usually dead by morning? Have you ever bough cheap plants that are usually dead by the end of the week? We use only the highest quality products and guarantee our flowers to your satisfaction. We proudly deliver floral arrangements, gourmet baskets, gift baskets and gifts for all occasions. 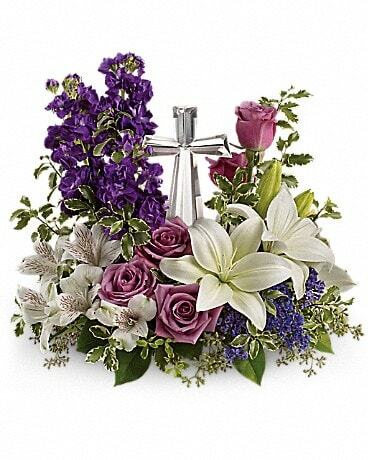 We also offer the finest in sympathy flowers and funeral arrangements. For the perfect wedding, we are your wedding specialists. Compton’s Florist can provide flowers from the traditional to the exotic. Feel free to browse our online store. We offer our special packages for those in need or those indeed!! Our online Wedding portfolio is designed for wedding events of all sizes. For a list of the various flowers used in our arrangements, just click on our Dictionary of Flowers, and for questions about the care of your floral arrangement, click on our About Flowers section. Roses come in a variety of sizes and color from the sweetheart rose to sprays roses, short stem roses and long stemmed roses. These rose arrangements are perfect for all ages. Send Sweetheart roses for a new baby girl or a Sweet 16 birthday. Spray roses for a grandmother, short stem roses for the young love in your life, and long stem roses for the love of your life. Compton’s Florist is your love connection with a wide variety of roses. Roses have been a symbol of love since the beginning of time. Share a rose with someone special in your life. 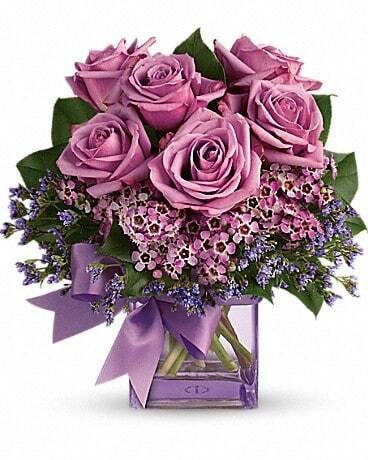 Let Compton’s Florist take someone's breath away when you send a message of love. Our professional design team will arrange the perfect rose bouquet for the perfect gift. Black Magic roses and red Charlotte roses are some of the most requested roses today, and Compton’s Florist have some of the most amazing and unimaginable colors in roses you have ever seen. 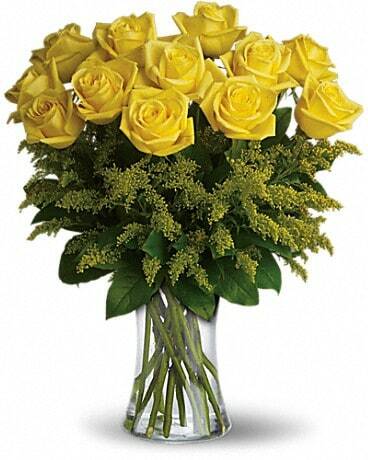 Call now and ask about our special on Pink Lemonade roses. 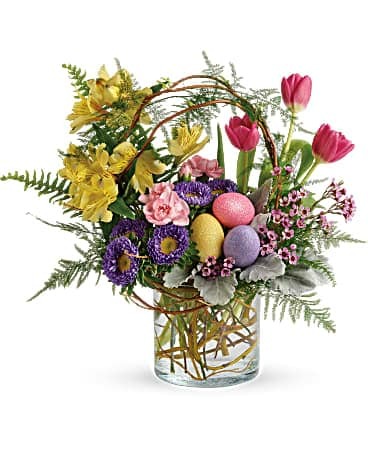 This exquisite floral arrangement is loaded with charm. Soft as a whisper, sweet as candy. This clear glass bubble bowl filled with light pink and soft yellow roses, green button and chrysanthemums topped off with delicate oregonia. Send this arrangement to someone who appreciates the power of an understatement. Compton’s Florist can deliver the classic roses, from the unique to chic all delivered in state or out. Send roses today and receive kisses tonight. Make a date and send roses as the messenger, and we will deliver you a timeless gift of love with a spectacular bouquet designed to steal hearts. Here at Compton’s Florist you will find just about any type of gift and a wide range of prices to suit your need. Perhaps you are celebrating an anniversary of marriage, your business or in sympathy. Today there are so many ways to remember an anniversary. Browse through our categories and select Anniversary. Here you will see a wide range of hand crafted floral designs. 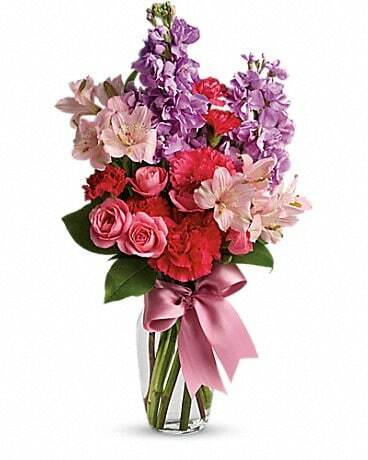 Perhaps the Pink Elegance Bouquet by Compton’s Florist will be your fancy. This gorgeous stunning leaded crystal vase will let that special someone know how much you love them. 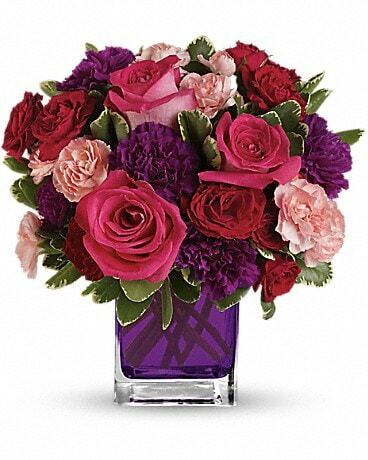 This pretty Vase is filled with long stem pink roses, Lavender Asters, ruscus and top off with eucalyptus through out the vase to give it a fresh and wonder fragrance, and is one of our favorites. Not into the soft pastels? Go with the Large Sunshine and smile bouquet. 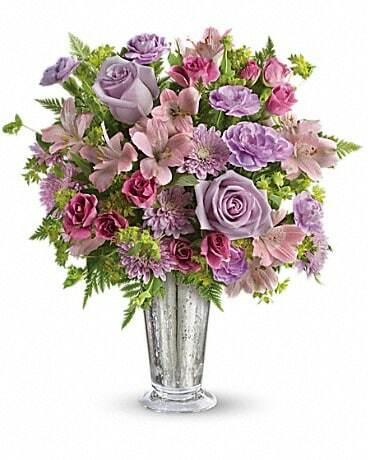 This bold and vibrate array of colorful flowers stands about 11” tall, and is filled with Pink Roses, red gerberas, purple asters, yellow stock and blue larkspur flowers. Compton’s Florist offers you many other add-ons such as balloons, stuffed animals, candy, tapestries and much more. Our highly trained staff is ready to help you make your next anniversary the very best. 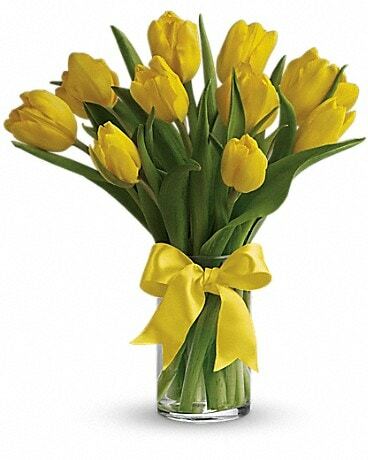 Compton’s Florist will send your gift in town or out with our Teleflora network system. Call now and let us celebrate a special occasion with you. Send flowers with a smile and send them our way; Compton’s Florist. The Compton’s Florist is your first choice for blooming plants filled with bright colorful luscious blooms and bright green foliage. Mixed African violet baskets are great for mothers day, birthdays, Easter and secretaries week. 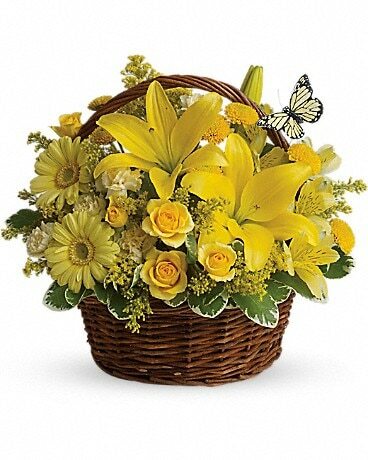 This lovely basket is so much like a flower garden its bringing a little oasis right inside the home or office. Violets come in Magenta, purple, white and pink. Their petals are soft and full of color. Our African Violets are sure to brighten up your garden, home, or office! 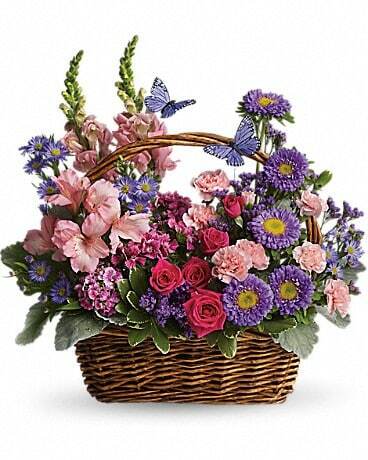 Try our Azalea Attraction Garden Basket. It can spruce up any environment with our premium hot-pink Azaleas as well as Dieffenbachia, Spathiphyllum, and Nephthytis ivy plants. If you would like a different selection of Azaleas, try our Azalea Topiary with our hot-pink Azaleas in the topiary style in a wicker basket adorned with moss. Get a taste of Europe with our Petite European Basket. It includes blooming African violets, Cyclamen, and Kalanchoe plants along with a colorful speckled Croton plant. Maybe you would like to send something in green, like a simple a live plant. Try one of our dish gardens or floor plants. These arrangements can dress up any desk or floor and will bring color and life to any room. The Compton’s Florist has an amazing selection of flowering plants and green dish gardens great for all occasions. A name you can trust for more than 50 years, The Compton’s Florist is the one to choose. Order now and let one of our green thumb assistants help you in choosing the right plant for the right occasion and the right price. Never buy Cheap Plants or Cheap Flowers. Always buy from a florist you can trust and count on; The Compton’s Florist. Order in town or out; we are your one-stop plant shop. Here at Compton’s Florist, offer the finest flower arrangements and specialty gifts available, are able to work with your budget. Compton’s Florist have been serving the LaPorte Texas area since 1956 and are committed to offering only the very best floral arrangements and gifts, backed by service that is friendly and prompt. We believe that our customers come first. So click online or give us a call and let us help celebrate someone's birthday today. 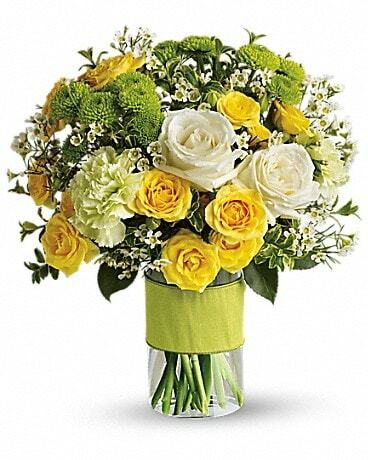 One of our number one sellers for a birthday is the Bright and Cheerful Teleflora’s birthday candle bouquet. It will make any birthday more joyous for the young and old alike. This clear glass bubble bowl with colored painted birthday candles on the out side is an excellent choice for anyone. Filled with bright colored carnations, yellow chrysanthemums and blue delphinium with curling birthday colored streamers flowing out of the arrangement is sure be a hit. Or maybe you want an arrangement for someone over the hill. We have it all here under one roof. Call now and let our birthday specialist help you celebrate any age birthdays you need. We will help you create a theme and see it come alive with balloons, flowers and gifts. Plan a surprise birthday today and let Compton’s Florist help you make a big bang! It’s your wedding day. What a time to embrace and make lasting memories. Here at Compton’s Florist, we are committed to our brides in turning their dreams into reality. Compton’s Florist wants your flowers to enhance that special day with a sense of elegance. Today's wedding ceremonies are done with some of the most popular flowers that symbolize new beginnings, flowers that are rich in color and designs of full, lush, and textured blooms. Peonies, hydrangea, lilac, ranunculus, cymbidium orchids, roses and tulips. These flowers have the appeal of romance and love for a lifetime. Compton’s Florist will create and customize a breathtaking, fragrant bridal bouquet just for you. Compton’s Florist has been serving the greater Houston Texas area since 1956, and we are the premier florist in Southeastern Texas. Our professional, award-winning designers are highly qualified and trained in meeting all your needs. Compton’s Florist is recognized for its wedding work whether it is traditional, high style, elegant or simple. Call now set up a wedding consultation with our professional wedding consultants. In town or out, around the corner or around the world; Compton’s Florist will make your wedding a beautiful and memorable fairy tale. Compton’s Florist, is your first choice for special events. Whatever the occasion; from corporate events to private parties, our service and quality is unrivaled. Our event coordinator will schedule an appointment to provide a no obligation quote for flowers and decorations. We work with all local hotels and event planners in the area to create the perfect setting for that perfect day. From the planning, through the designing, a private viewing just for you and right through delivery, you can trust Compton’s Florist, to care for your occasion arrangements perfectly, beautifully, and on time. We will be honored to handle your special event needs, no matter how large or small, and promise to make your event a smashing success. Sending your order out of town? No problem! As a member of the Teleflora florists’ network, we can deliver your floral arrangement, gift basket, gourmet basket, plant arrangement or dish garden across the nation or around the world. At Compton’s Florist, we guarantee that you will be pleased with your shopping experience, no matter whether in person, by phone, or online. Your satisfaction is our promise. Whether you need it next door, across the country, or around the world, we are your first choice for the finest in floral gift giving! Compton’s Florist have long been recognized as leaders in quality customer service. We are available to receive your order 24 hours a day, 7 days a week to make your shopping simple, safe and secure. We use only top quality flowers chosen from only the very best growers from around the world. Never buy cheap flowers and cheap plants that never last. 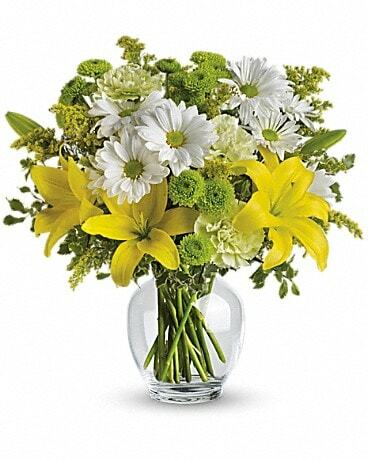 At Compton’s Florist, we offer only the highest quality products and guarantee our flowers to your satisfaction. Our fresh cut flowers are imported daily from points around the world. Only the freshest and highest quality stems are used. Our suppliers include growers from around the world including, Holland, Israel, Colombia, Brazil, California, Hawaii and beyond. Flowers are the perfect expression for any occasion. Whether the event is one for celebration or memorial, a wonderfully brilliant and artistically designed floral bouquet communicates those sentiments best. We can help. Sending your flower order beyond our local delivery area is never a risk. 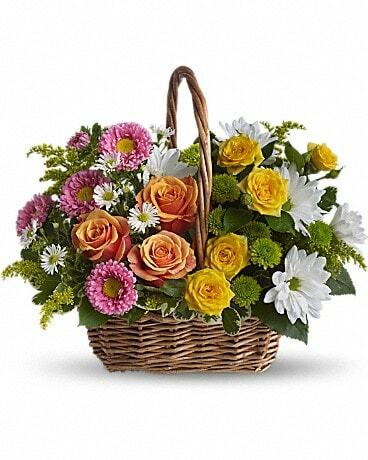 As a member of Teleflora, we can have your floral arrangement, gift basket, gourmet basket, plant arrangement or dish garden delivered anywhere….even worldwide. The same quality and guarantee follows your order. You have our guarantee of satisfaction, quality and detail once the Compton’s name is attached to your order. We are committed to our customers in a way that few other shops are. And our 50 year track record proves this. Never settle for cheap flowers, cheap plants, or cheap gift baskets. Our access to superior quality of blooms, outstanding and talented design staff, commitment and guarantee of excellence mean your business can be trusted with us. Please visit us in person at our retail location located in LaPorte TX, just to the east of the Houston TX metro area. We are also available 24 hours a day by phone or here on our website www.comptonsflorist.com. Comptons Florist proudly serves La Porte, Texas. Our La Porte Flower shop serves as a: Pasadena Florist, Deer Park Florist, Seabrook Florist, Clear Lake City Florist, Webster Florist, Baytown Florist and Kemah Florist. Comptons Florist in La Porte, TX delivers fresh flowers to those you care about in the following zip codes: 77521 , 77501 , 77508 , 77571 , 77506 , 77522 , 77504 , 77507 , 77505 , 77598 , 77520 , 77503 , 77572 , 77502 , 77536 , 77586 .Comptons Florist also delivers to the following facilities: Alenbrook Healthcare Ctr , Bay Area Surgicare Ctr , Bayshore Medical Ctr , Bayshore Towers Apartments , Baytown Back Pain & Health Ctr, Baytown Nursing Home , Center For Psychiatry Info , Center For Rehabilitation , Clear Lake Regional , Clear Lake Regional Med Ctr , Clear Lake Rehabilitation Hosp, Colonial Funeral Home , Cristo Rey Funeral Home , Deer Park Funeral Directors , Deke Slayton Cancer Ctr , Doctors Outpatient Surgien Ter, Earthman Funeral , Fairmont House , Faith Memorial Nursing Home , Forest Park East Funeral Home , Frazier Funeral Home , Grand View Funeral Home , Green Acres Convalescent Ctr , Guillen Baytown Funeral Home , Happy Harbor Methodist Home , Harris County Hospital Dist , Healthcare Center Tx Inc , Hearthstone At Vista , Hospice Center , James Crowder Funeral Home , Kindred Hospital Bay Area , La Crespo Funeral Directors , Lakeview Health Care Ctr , Laporte Healthcare Ctr Inc , Manor Care Health Svc , Marys Room & Board , Navarre Funeral Home Inc , Pasadena Funeral Chapel , Pasadena Interfaith Manor , Paul U Lee La Porte Funeral , Pine Tree Cottage , Pine Tree Lodge Assisted Lvng , Pointe Rehabilitation , Rehabilitation & Healthcare , Robey Funeral Home , Rosewood Funeral Home , San Jacinto Methodist Hospital, Southfield Health Care Ctr , Southfield Healthcare Ctr , Southmore Park Apartments , Specialty Hospital Of Houston , St James House Of Baytown , Swan Manor , Terrace At Clear Lake , Vista Continuing Care Ctr , Vista Medical Ctr , Vista Medical Ctr Hosp Inc , Waterford At Deer Park , Women's International . Comptons Florist specializes in: Large inventory of fresh flowers Tropicals Plants European/dish gardens Contemporary and traditional arrangements High-style floral arrangements Silk arrangements Dried floral arrangements Weddings Funeral designs Extensive gift line Gourmet and fruit baskets Gift baskets Greeting cards Candles.